Raimundo Irineu Serra (1892 – 1971), better known as Mestre Irineu, was the founder of the Daime religious doctrine, which uses a brew called Ayahuasca as a sacrament. 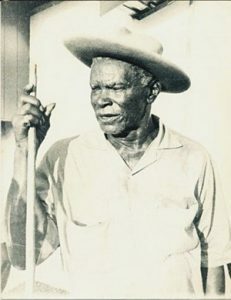 Brazilian, born in the State of Maranhão and descendant of slaves, Mestre Irineu went to the north of the country looking for work. He worked at a number of different jobs and, while working on the Brazilian, Peruvian and Bolivian border delineation in the state of Acre, he met brothers Antônio and André Costa, who first introduced him to the Ayahuasca brew. After experiencing several visions with Ayahuasca, Mestre Irineu was chosen by Holy Mary to introduce the brew to the world. Today the teachings and rituals known as Daime are present in all Brazilian States and in many other countries. Shamanism is not a religion. It is one of mankind’s oldest spiritual, naturopathic and philosophical practices. Practicing shamanism means to seek spiritual enlightenment and see reality from a different perspective, closer to nature. In mankind’s early days, there were no boundaries between science, art and religion. All merged into a single goal: understand the forces of nature and use them to benefit us. That was the shaman’s domain. The original term “Saman” is derived from the verb “know” in the Siberian language Manchu-Tungus. 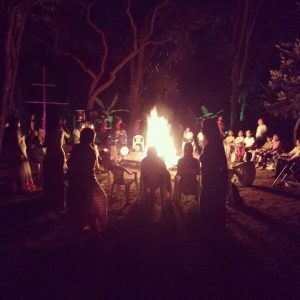 Our Shamanic ritual practices the wisdom of ancient traditions adapted to today’s world and the current state of the human soul. We use natural herbs and plants, musical instruments, songs, meditation, dance, breathing exercises, visualizing and lots and lots of love. We have no prejudice regarding beliefs, sexual and gender orientation, religion, race or any other kind. We are all One. 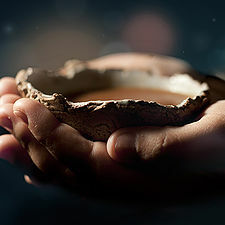 Ayahuasca is a natural brew, fermented, dark in color and known by many names such as Hoasca, Daime, Iagé, Santo Daime, Vegetal, Wine of the Souls or just Tea. Ayahuasca is often used in rituals of different social groups and religions, and is part of the traditional medicine of the Amazon people. It is estimated that indigenous people have been using this brew for about five thousand years. 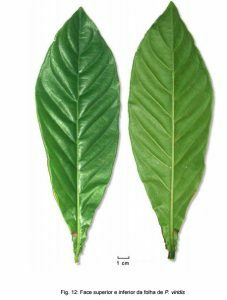 To prepare such “brew” they cook-up leaves of a plant called Chacrona or Queen (Psychotria viridis) and a vine called Mariri or Jagube (Banisteriopsis caapi). 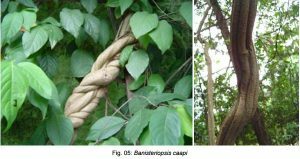 Scientifically, Ayahuasca psychoactive property is due to the presence of a substance known as N, N-dimethyltryptamine (DMT) – produced naturally in the human body at lower doses – in the leaves of Chacrona. DMT is metabolized in the body by the enzyme Monoamine Oxidase (MAO). Mariri plant has alkaloids capable of inhibiting the effects of this enzyme (MAO), keeping DMT active when administered orally, with a long-lasting effect. Other plants can be used in the preparation of Ayahuasca. Biologists such as Jonathan Ott have reported a range of 200 to 300 different plants used to cook the brew. At Flor de Lótus Shamanic Institute we only serve Ayahuasca prepared with Chacrona and Mariri. The cooking time and concentration of plants change according to the intention of the ritual. Ayahuasca induces expansion of the senses and deepens emotional and mental processes. The person is always aware of what is happening around him/her. Legal authorities of Brazil understand that its health risks have yet to be investigated by science but allow its ritualistic use. Some researchers have concluded that the use of Ayahuasca is relatively safe, with minimal risk to health. Religious representatives say that the brew is “proven harmless to health.” There is no consensus on the subject in the scientific community. Some chemical substances and some diseases do not allow the use of the brew. Contact the Institute BEFORE taking Ayahuasca and taking part on the ritual, so that medications and medical conditions can be assessed. Turn off your cellphone when the ritual starts. The Ritual is introspective and personal. Silence is fundamental. You are responsible for who you invite. The Ritual lasts around four hours. Women stay at the right of the altar and men at the left. Try to keep away of the person who invited you or you invited. Couples (of all types): behave yourselves before, during and after the ritual. This is a spiritual experience. Drugs, alcohol, and other plant spirit medicines are not allowed during the ritual. During the ritual, two doses of Ayahuasca are served, accompanied by water. 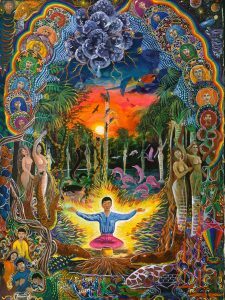 The effect of Ayahuasca is called “FORÇA”. Remain lying down or sitting. Close your eyes and focus on the music. You will be in full control of your actions. If necessary, use gestures or speak softly with the helpers. If you want to throw up, go to the fence outside the temple. In other cases, go to the toilet. There is no need to lock the toilet rooms. Taking the second dose is recommended for the ones who take Ayahuasca for the first time. Dancing and playing instruments is allowed only after the second dose. If you do not feel the effect of the brew (not feel the “FORÇA”), wait for the second dose. After communing with Ayahuasca you are not allowed to leave the place until the end of the ritual. Wait Ayahuasca effects to pass before driving your vehicle. If necessary, stay at the Institute and only leave at dawn. We wish you all a wonderful experience. On Tuesdays there is the Sacred Pipe Ritual.